Hua Hao Yue Yuan in Chinese means good flower and round moon. 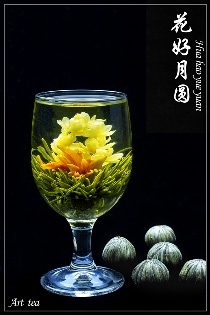 The blooming tea Hua Hao Yue Yuan use a round jasmine flower ring on the open tea leaves to express the flower and round moon. 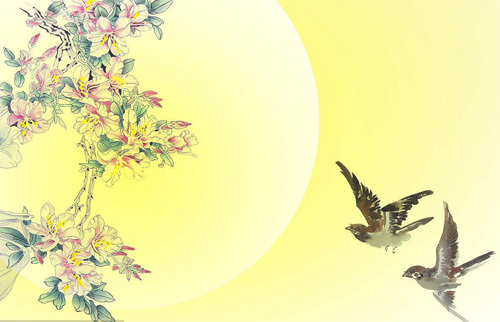 Chinese like using the word Hua Hao Yue Yuan to describe the Mid-Autumn Festival, when the moon is perfectly round and bright at night, and the osmanthus flowers, adding the atmosphere with fragrance. And also in Chinese literature, round has the indication of intactness and harmony. The word Hua Hua Yue Yuan is used to express the union of family, friends getting along with each other well.